Pink is beautiful! 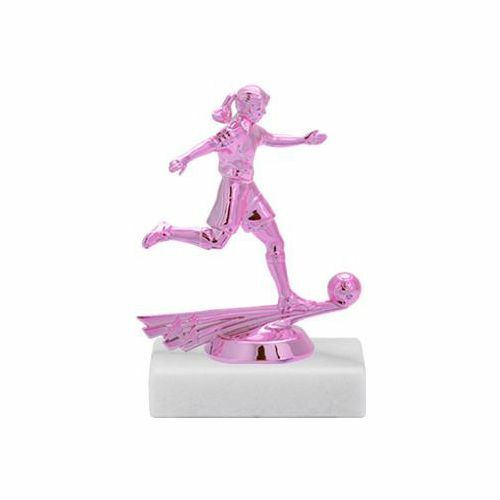 These simple trophies feature a pink SOCCER figure atop a white marble base. Personalized plate with 3 lines of text included. Awards4U has been doing our employee recognition awards now for several years. The quality is excellent and the pricing is reasonable. The customer service is exceptional. I usually work with Barbara Springer, who is a joy to work with and funny too! The entire team is top notch.